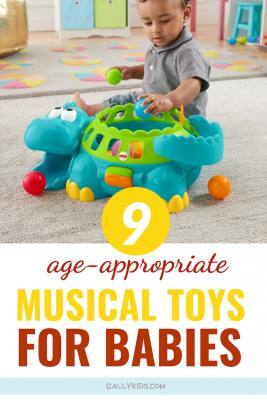 Buying robotic toys for toddlers doesn’t need to be a complicated affair . You don’t need to go all fancy-schmancy or buy one with loads of functions to make a 2 or 3-year old happy. At this time of your child’s development, the best a robot toy can do is for pretend play. 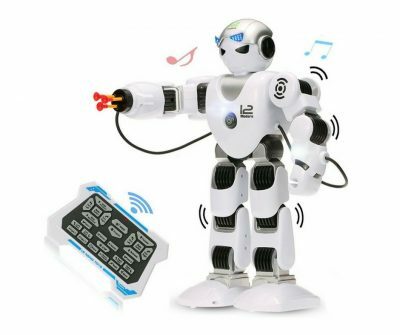 Of course, there are great electronic robot toys that claim to help with learning. And you might want to have a look at these types of toys too. However, I think that for most toddlers, a robotic toy is more like a “companion”. More like a toy for entertainment and fun to fuel his love for anything robotics. With that said, here are some of the best robot toys for toddlers that we’ve seen. Bear in mind that many of these toys have a recommended age of 3 years and above. 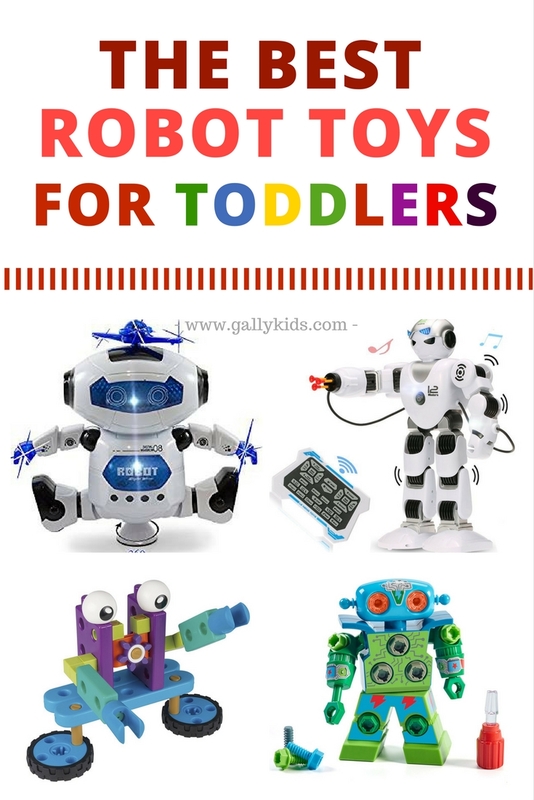 If you don’t want a robot toy for toddlers, Check out these other robot gift ideas for kids! 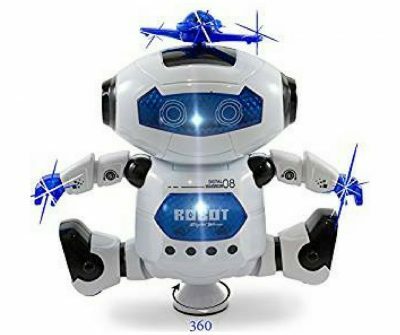 These are the top toddler robot toys on this page. It’s a good mix of robots. From a very basic robot that a 2 year old can build himself to an interactive and educational robot toy. 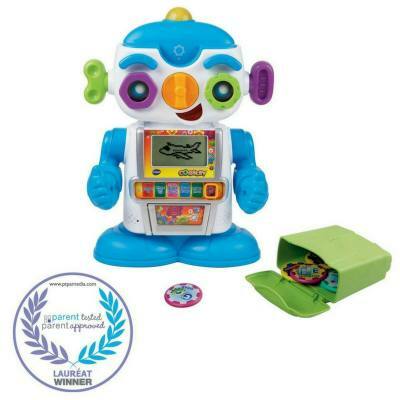 The Educational Insights Design and Drill robot is just the perfect robot for 2 year olds. It’s not electronic. It’s a plastic robot that young children can put together. It’s a great gift for toddlers who love robots and tinkering. Not only does he/she get to play with a robot but playing with the screwdriver also helps with developing fine motor skills. This toy comes with kid-friendly screwdrivers which many toddlers like using themselves. 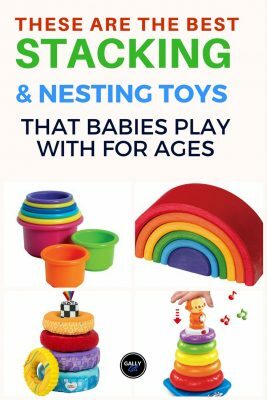 This is a great toy for developing fine motor skills and a good beginner’s kit for building and putting toys together. 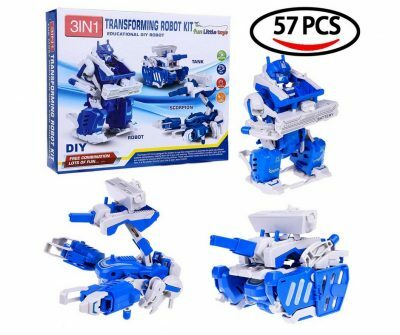 If you have a child who likes to tinker and loves robots, this is well worth considering for a birthday or Christmas present. 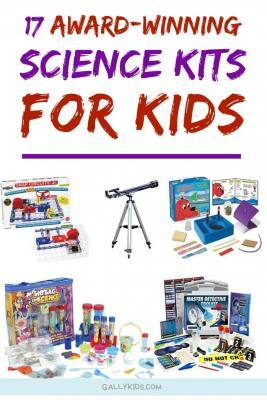 The Robot Engineer kit includes a book and building toys. 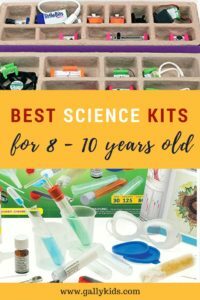 It’s a fun way for toddlers to develop STEM skills. There are 53 different pieces in the kit that includes gears, building blocks and wheels. Your child can then build robots out of these different pieces. But they’re not just building robots. They actually follow the robots that are built in the storybook by the main characters Ty and Karlie. It’s a fun hands-on way for kids to get creative, develop fine motor skills and practice engineering skills at an early age. If you like this, you might also like the automobile engineer kit with storybook. It works much like this Robot building kit except that your child builds an automobile instead! 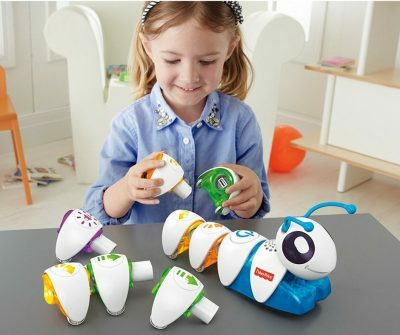 Like many of Fisher-Price’s toys, the Think and Learn teach and tag Movi is not only a robot but also an educational toy. 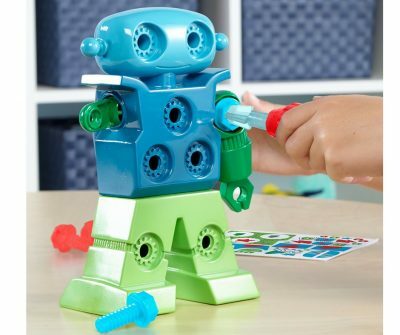 This toy looks like what a robot is in many a toddler’s mind, but it also teaches them colors and shapes through play. The robot includes features that tell kids to move and dance around too — which makes it a great educational toy to practice gross motor skills and learn how to follow directions. The Kidsthrill Dancing robot is a very basic dancing and flashing robot toy for toddlers and it just might be the one that a toddler can easily appreciate. There’s no complicated skill necessary to operate this toy. 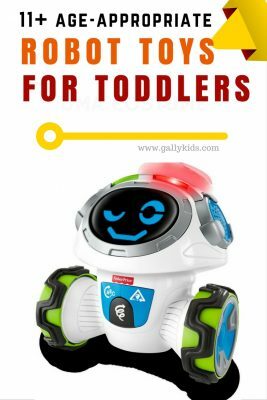 At the very best, it’s an entertaining toy that toddlers who like robots are going to have fun playing with. This dancing robot has flashing lights and music and has many dance moves. And from reading the reviews, young kids LOVE playing with it. Robot toys for kids are just getting better and better every year, aren’t they? Just check out Cogsley – The learning robot. This is like a little computer inside a robot-shaped toy. It has its own LCD screen where a preschooler can learn many things like the alphabet, spelling, and numbers. It also helps practice memory recall and hand-eye coordination. It’s pricey but it does have a lot of functions and will most likely be used for a long time for the child who has the patience to listen and play with it. Like a lot of Vtech toys, Cogsley is a durable well-made robot. Check him out! If you want your child to learn the basics of coding at an early age, you might want to have a look at the Fisher-Price Think and Learn Code a Pillar toy. It’s a caterpillar that challenges kids to get it to move from one end to another end using commands from each segment of the caterpillar. You can call it basic “coding skills”. There’s critical thinking and problem-solving involved. Younger toddlers may not know exactly what to do but maybe more enjoyable for a preschooler. If you want a humanoid robot, the Amenon Wireless remote control robot is entertaining enough for an older toddler or a preschooler. It’s a remote control robot that shoots, dances with music and swings his arm. Note: There are many humanoid-type robots for kids. Bear in mind, however, that many of these humanoid robots are made for older kids — so you’ll have to consider this if you’re buying one for a toddler. Now there’s no need to buy a puppy for Christmas. 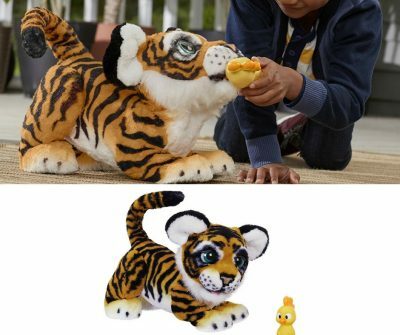 Your child can have a robotic tiger instead. This fluffy playful tiger could be your child’s pet companion. How cute is this? The furReal Roarin’ Tyler the Playful Tiger responds to over 100 different sounds and touch combinations. He can roar, move his body, lie down and more. A fun toy for a child to cuddle and play with. FurReal makes many of these interactive robotic stuff toys if this is what you have in mind. Here’s a pet cat (Cuddlin’ Kitty cat) that responds to touch. It can purr and makes for a cute toy. The Chatimals was really made for older kids, but it’s just as entertaining for younger kids (and animals I hear!). 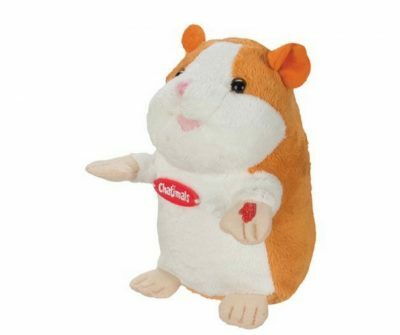 The Chatimals are talking hamster toys that repeats what you say — in whatever sound or language it is. It’s a fun electronic toy that toddlers love and are completely amused by. This Take Apart Robotic kit is recommended for kids who are at least 3 years old. Customers rate it very highly so that’s why I’m including it on this list. A few things: if this is for a toddler, you’ll need an adult to put it together (good parent-child bonding perhaps?). Also, if you have a toddler who still likes to put things in his mouth, this isn’t the toy you want as there are small parts. The Zoomer Show Pony is included in Amazon’s holiday toy list this year. 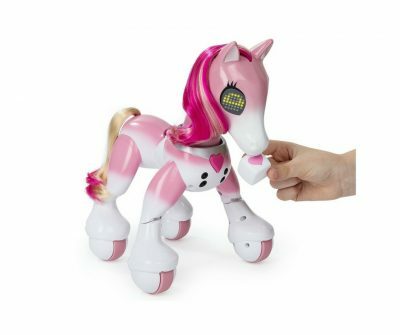 Like many of the robotic toys for toddlers, this is an interactive pony that responds to touch. It also comes with a few accessories that it responds to. For example, one of the accessories is an apple. If you put it close to the pony’s mouth, it makes a crunching sound as if it’s actually eating the apple! This toy comes preassembled and there’s an easy on-off switch button. A dog that’s a robot? 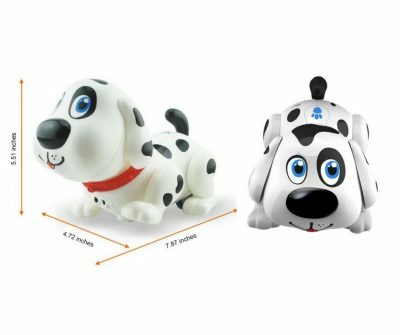 Toddlers love this electronic robotic dog. This is Harry, the robot dog. He can sing, dance, walk, bark and play with your child. He also responds to touch. And you don’t wanna touch his backside or he will pass gas — something that young children obviously find very funny. Here’s another toy puppy robot. 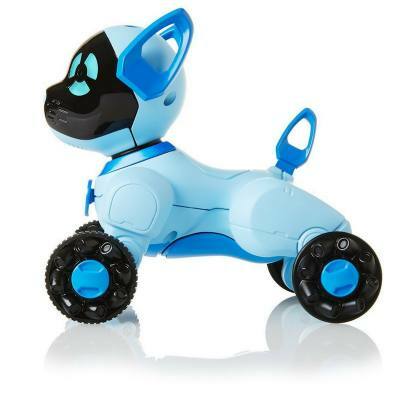 This is Wowwee’s Chippie dog – the puppy on wheels! Chipper is available in blue, pink and black colors. He can bark and sneeze. 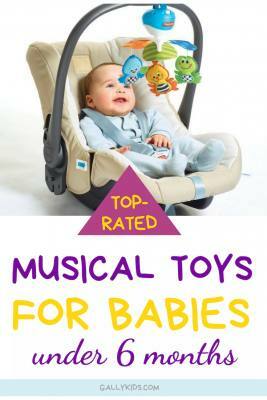 Your child can also use a remote control to make him dance, sing or roll. And if you want to have a walk around the neighborhood, you can take Chipper with you too using this exact remote. 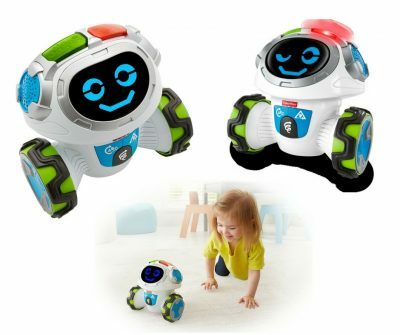 Here’s a talking robot that is loads of fun for toddlers. It basically mimics everything it hears — which as you expect is a lot of fun for kids. It’s a small robot made of sturdy metal body. and it’s posable too! Check it out! Here are some robot-related toys that make great presents for toddlers who like robots. Made in the USA, these robot slippers are great for winter – the perfect Christmas gift! These are good quality robot slippers for toddlers as they have a flexible sole and non-skid outsole. 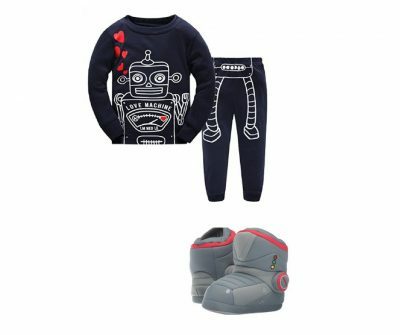 They are like moon boots and if you also get them this robot pajama set, you’ll have a very happy robot toddler running around the house every night. Kids who love robots love these. An adorable little book about robots. 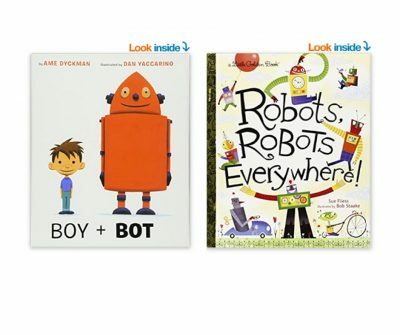 It’s colorful and funny and shows kids how robots are everywhere in our everyday life. A cute story about a robot and a boy and the friendship between the two. The Boy + Bot book is short enough to hold a toddler’s attention. It also has a colorful illustration and an endearing story that toddlers and preschoolers love. Great bedtime story. Expect your child to start saying affirmative every time he wants to say yes soon! 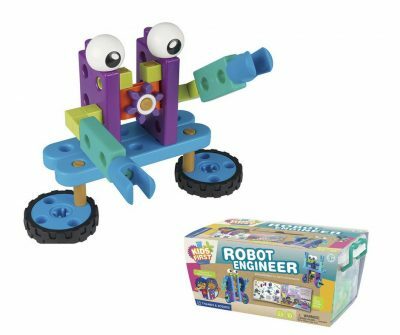 If you have a toddler who likes robots and also likes building things and putting things together, have a look at these two robot building toys. The first one is the Tegu Magbot wooden block set. 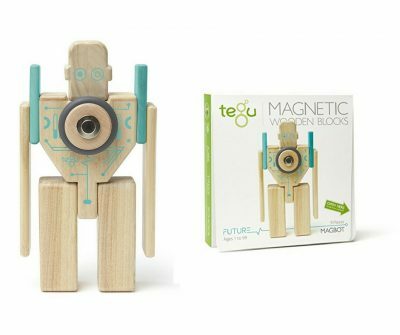 It’s a very simple wooden toy that have magnetic blocks (if you haven’t heard of the Tegu company before, check out their products here – they’re great!). This one can be made to look like a robot.